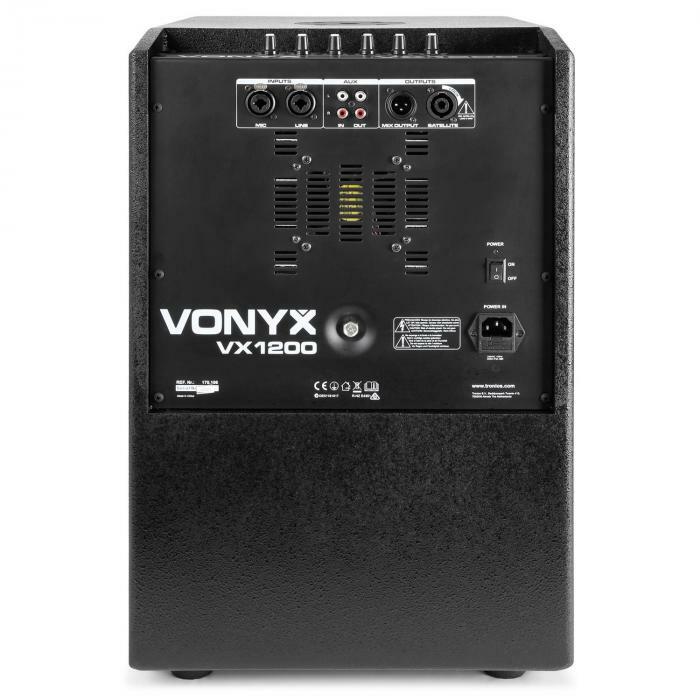 The Vonyx VX1200 2-way speaker system is a complete Plug&Play speaker set. The delivery includes everything you need to start playing music immediately. The speaker system has a 4x 2.5" speaker and 1x 2.5" tweeter in the satellite. 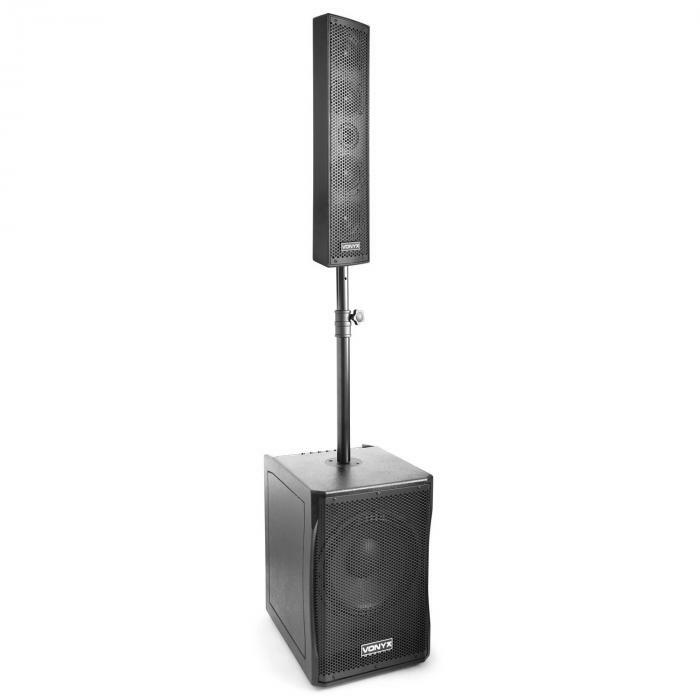 The 12-inch subwoofer provides a deep and full bass sound, while the column speaker design provides a wide range of sound and guarantees a full listening experience. 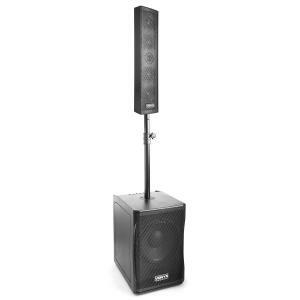 The portable column speaker system in a robust ABS housing is suitable for presentations, company events and congresses. SPL max: 128 dB max.